The TASKalfa 8002i/7002i is a high-performance Black-and-White MFP that powers through your most demanding print, copy, scan and optional fax tasks with exceptional speed and accuracy. Designed for unmatched ease of use, striking image quality, and incredible efficiency, the high-volume TASKalfa 8002i processes print jobs at up to 80 pages per minute and scans images at 220 images per minute. 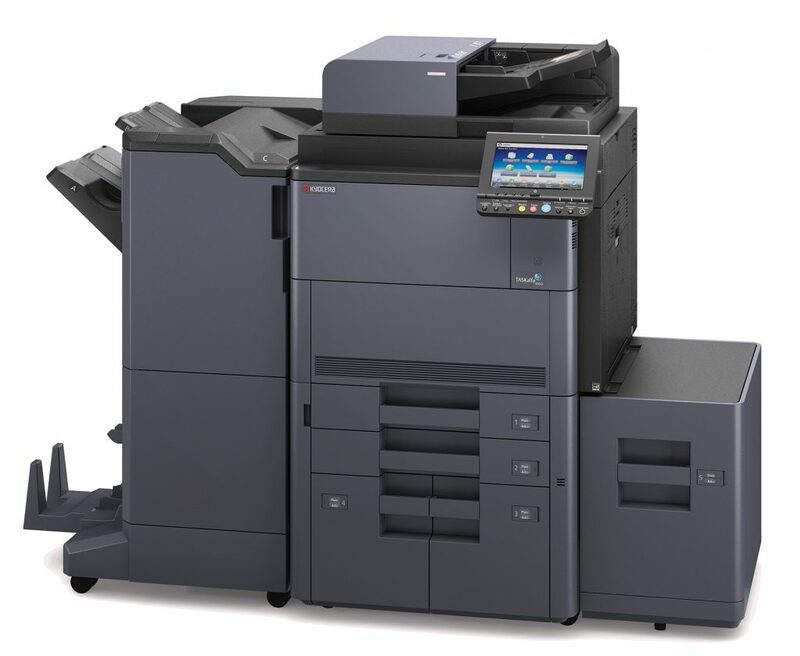 The TASKalfa 8002i/7002i is completely scalable with added paper drawers, advanced finishing and plug-and-play Kyocera business applications. The Kyocera reliability and long life technology means this product will stay in your business longer than many of the competitors in the marketplace. The business applications on the TASKalfa 8002i/7002i enables users to connect and collaborate in today’s fast-paced, mobile workplace.